Europe CMO Facility Location | ABL, Inc.
For directions and a map of our Strasbourg facility, click here. With the recent addition of a brand new 200 L stirred single use bioreactor (SUB) facility and options to readily add 500 L SUB capacity, ABL has strengthened its position in the GMP viral vector CMO market to support clients with a long term manufacturing strategy able to meet their clinical development & product registration objectives. QC release, stability testing, analytical methods qualification and validation, for generic and a wide range of viral vector product specific assays, can be performed in-house by ABL. 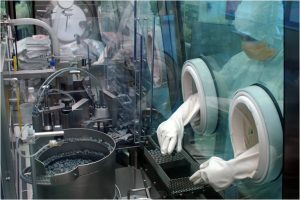 A new production facility for the GMP manufacture of viral vectors from non-adherent cell cultures is opening in Strasbourg, France.